together, this ancient Egyptian cross represents life force. ankh breathe new l i fe into you. The charm sits on a fully adjustable expandable wire bangle. 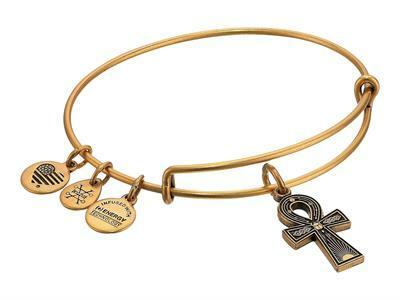 PACKAGING: This Alex and Ani bangle comes packaged in a black organza poush. Please note that only bangles over the price of £30 will be packaged in an Alex and Ani box. Each bangle purchased is packaged separately, if you are buying multiple bangles for one recipient, let us know in the comments box at the checkout and we will package all of your bangles into one Alex and Ani stack box.